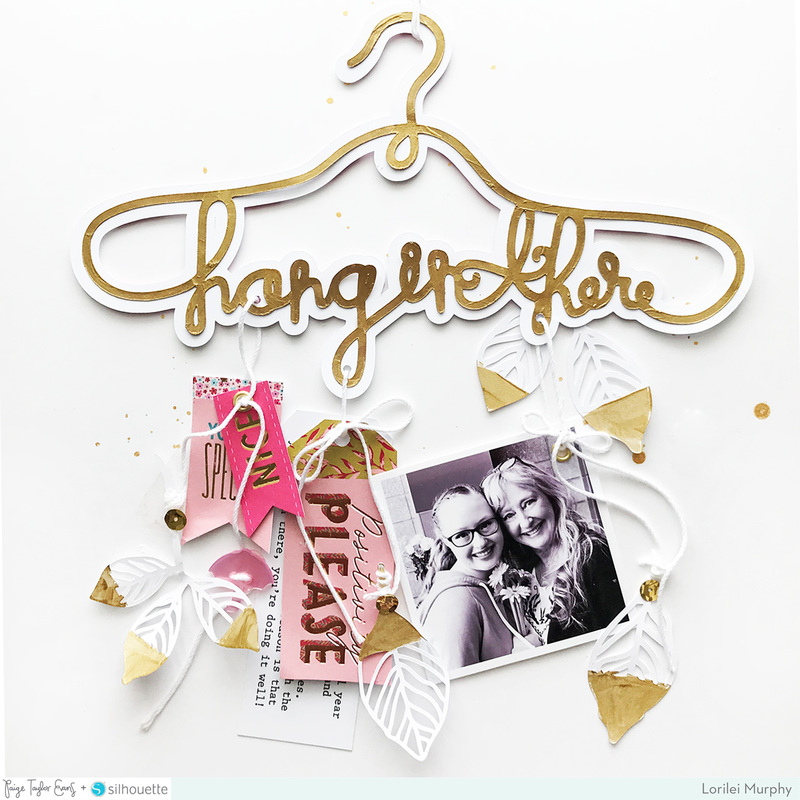 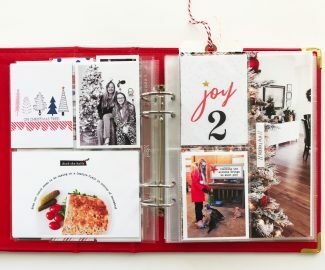 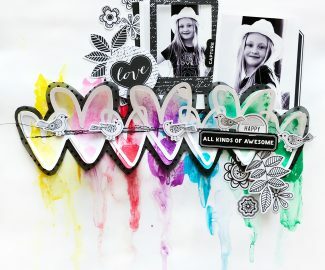 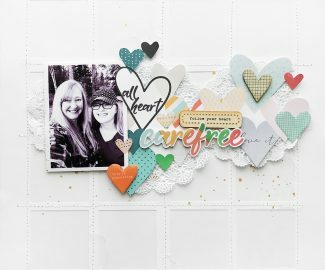 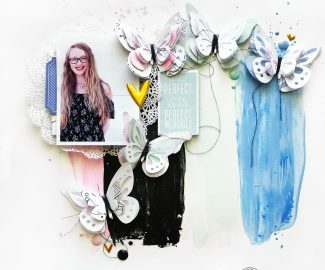 I was perusing Paige’s cut file shop at the Silhouette store and spotted the Hang In There Hanger (Design ID #255610) I thought it would be super cute on a layout with bits and pieces hanging from it. 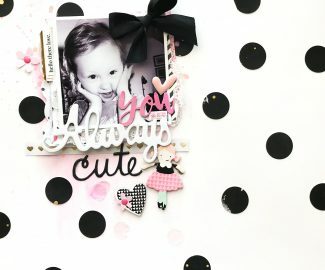 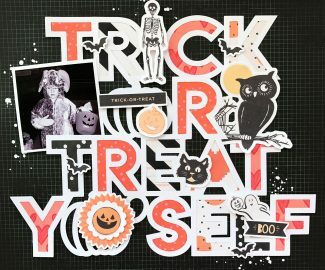 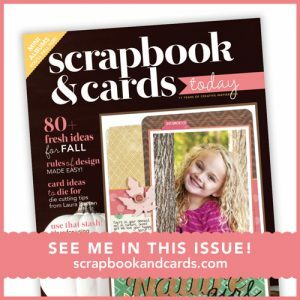 I cut the file from white cardstock and then in the Silhouette software I used the offset feature and then deleted the original cut file so I would have a second layer with a large border. 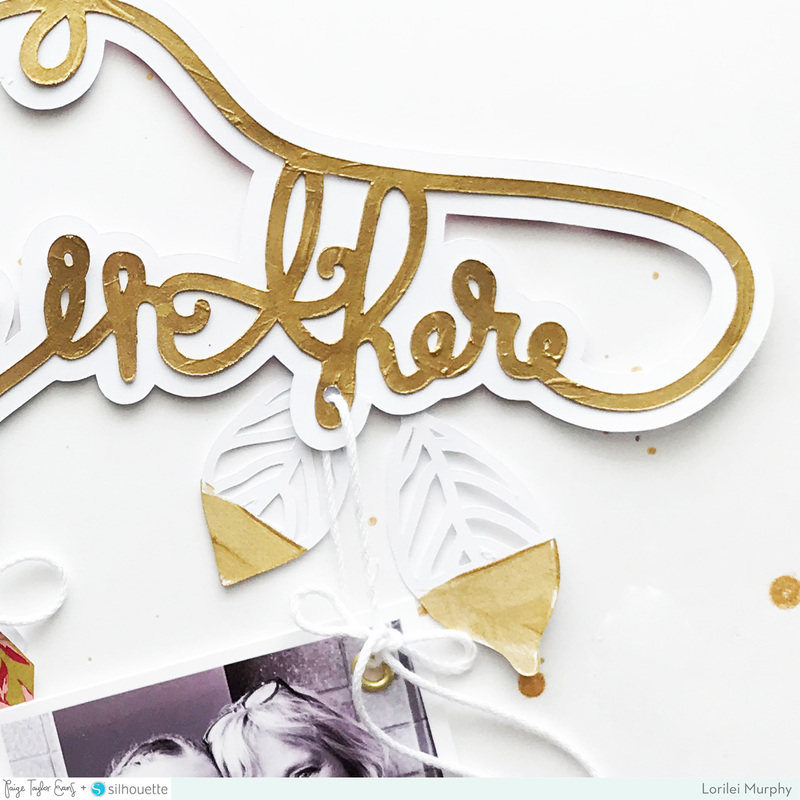 I painted the cut file with 2 coats of Martha Stewart gold paint and after it dried I glued it onto the border layer. 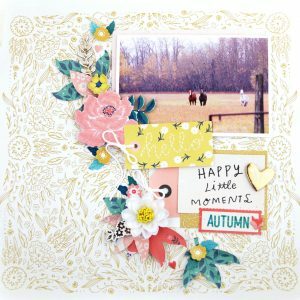 I cut 5 of the Dipped Leaves (Design ID #227130) and painted the tips gold as well. 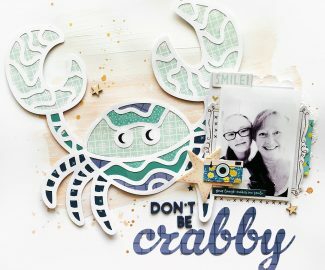 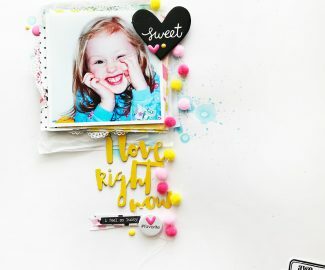 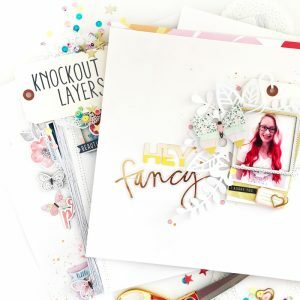 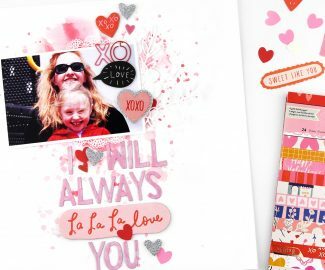 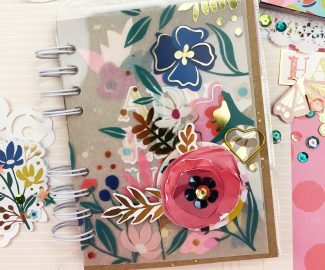 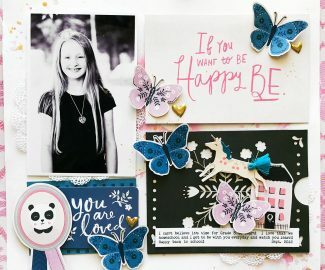 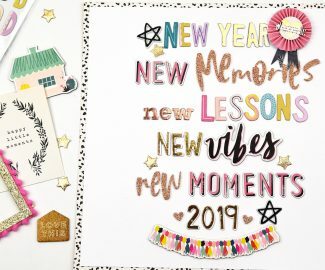 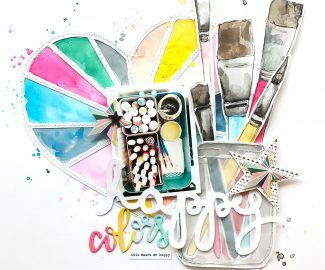 On my background I spattered some Heidi Swapp Gold Colorshine and then selected some cute pieces from Pick Me Up by Paige Evans & Pink Paislee. 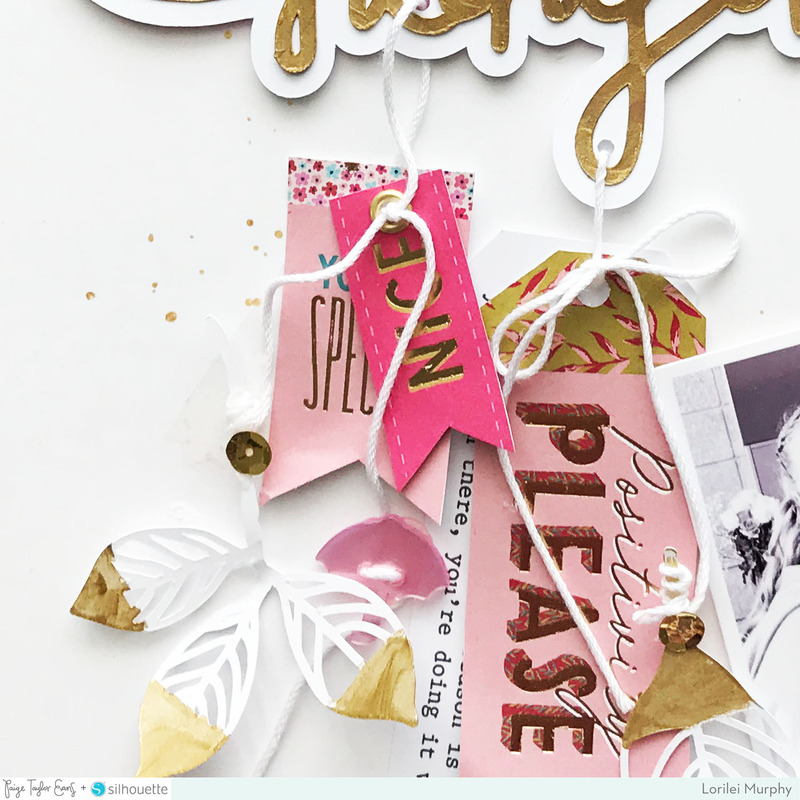 I added a gold eyelet to my photo and to one of the tags and then attached the bits to the hanger with white crochet thread.